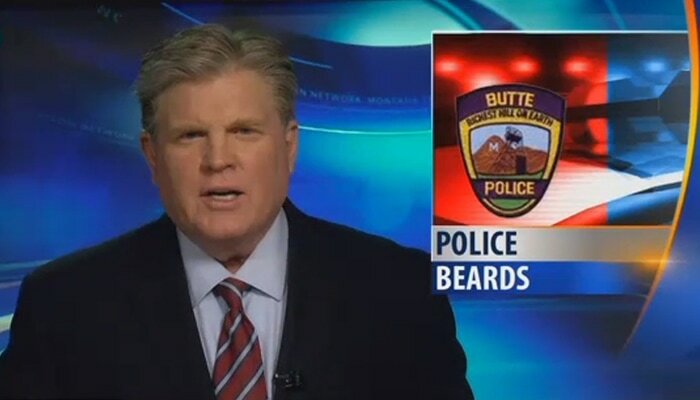 BUTTE, Montana – Beards are for lumberjacks, not cops. But some Butte cops started growing their own, though it takes some getting used to. “It was a little itchy at first, but it’s good now,” said Butte police officer Josh Stearns. This isn’t a fashion statement. These officers want to raise money for Cops for Kids with Cancer, a charity that helps children with cancer, and they decided to have a beard growing contest. “At first we were laughing about it, it was kind of a joke, I approached the Sheriff about the idea and he agreed to it,” said Undersheriff George Skuletich. About 40 officers are participating with a $25 entry fee and that fee will be matched by the police union. They hope the public will also donate to this cause. “We never got to grow a beard before, it’s against our policy, so it’s just kind of a fun way to do it and easy way to raise money,” Stearns said. Stearns added he likes his new beard, even though his wife is a bit skeptical. “Yeeeeeah, I don’t know if she likes it. It’s growing on her just like it’s growing on me,” he said.